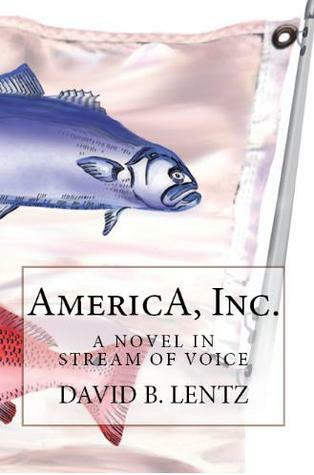 In 2007 this vision of dystopia imagined with prophetic accuracy a biting satire in which the USA has incorporated in 2020 into an oligarchy, or "corpor-nation," headed by a President + CEO surreally like Donald Trump. **ARC/GIVEAWAY**Honest review: I made it through the first few pages, and was turned off by the prose style and the amount of cursing - didn't feel genuine at all. I think conceptually, this could be a cool story with a lot of incredibly current and politically-relevant themes, but the "stream-of-voice" format was difficult to follow and at some points, lazy. This deserves a more rounded story with traditional prose. David B. Lentz - Born in Woburn, Massachusetts, David B. Lentz is an alumnus of Bates College as well as the Yale and Wesleyan Writers' Conferences. He is a member of the Center for Fiction in New York, the Royal Society of Literature in London, the Poetry Society of America, the Academy of American Poets, and the Connecticut Authors and Publishers Association. He has published seven novels: "The Fine Art of Grace", "For the Beauty of the Earth", "AmericA, Inc.", "Bloomsday", "Bourbon Street", "The Day Trader" and "The Silver King." He has written two stage plays, "Bloomsday: A Tragicomedy" and "AmericA, Inc." Lentz published three volumes of poetry in "Old Greenwich Odes", "Sonnets from New England: Love Songs" and "Sonnets on the Common Man" in the latter two of which he introduced new sonnet forms. He created a new model of critical literary theory for reviewing novels in his book, "Novel Criticism." Selected excerpts from his collection of literary works among his novels, stage plays and poetry are available in "Essential Lentz." Three of his novels and one of his stage plays have been read for Pulitzer Prizes in Letters and Drama, respectively, but none has short-listed. Lentz has served Bates College as an Alumnus-in-Admissions (18 years), Stamford-Greenwich Literacy Volunteers of America, Midnight Run for New York City Homeless, Healing the Children Northeast, Inc. (Board), Hurricane Katrina JazzAid: New Orleans, Hope + Heroes Children's Cancer Foundation, St. Baldricks Foundation for Children's Cancer Research and as a Volunteer in St. Paul's Chapel at Ground Zero. Lentz has lived in the Garden District of New Orleans, Boston's Back Bay, Houston, Philadelphia's Main Line and Greenwich, Connecticut.